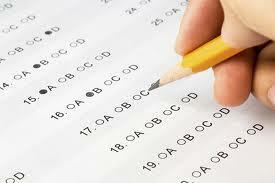 Michigan students may have more rigorous performance expectations on MEAP and other standardized tests. Update: If you missed the program, you can catch the audio on this post. Do at-risk kids have more on the line when it comes to testing? Are low expectations playing a part in poor test performance? How does the Smarter Balance test compare to the MEAP? Today, State of Opportunity returns with a new call-in show that seeks answers to these questions and more. Julie Zuckerman, principal of the Castle Bridge School in New York. Call in today at 3 p.m. (866-255-2762). We'll also be live-tweeting from @StateofOpp.